Half Pack of the 400xt Aero Foot. Upgrade looks of the 400 foot with stylized cover. 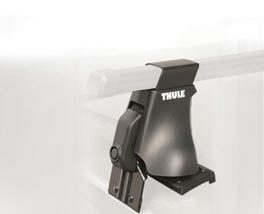 Improved function with integrated one piece bolt and handle assembly. Designed with the 400XT foot, our Fit Kits mirror your vehicle's roof profile. With over 250 Kits available, there is one made precisely for your vehicle.